It all begins when all the MRI scans, CT scans, blood and urine tests turn out normal. Patients begin to worry that the pain they feel is only an illusion. The exact cause of fibromyalgia syndrome is not still known but research has found that the abnormality is in the way that our nervous system process pain. Although all the tests turn out normal, the pain is dreadfully real and sometimes can be debilitating. 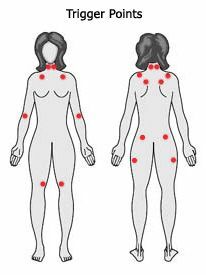 Fibromyalgia syndrome is more likely to affect women between the ages of 20 and 55 years. It is also known to be associated with depression, fatigue, anxiety, and insomnia. Most patients with this condition complain of generalized body pain and tenderness in the muscles, tendons and other soft tissues for a very long period of time. The doctors may detect several tender spots in the body including the shoulders, elbows, chest, neck, ribcage, knees, buttocks and thighs. Although there may be joints affected, the normal drugs that are typically used to treat arthritis may not work for this condition as well. Patients also complain that their pain is often aggravated by changes in the weather, noise and emotional stress. For this condition to be diagnosed, the patient should experience pain for at least 3 months or more. However, unfortunately, most of this period, patients spend their time doctor shopping; Patients go from one doctor to another looking for a correct diagnosis. Fibromyalgia syndrome is not a welcoming diagnosis. Even though it can be effectively managed, there is no cure for this condition. Fibromyalgia syndrome (FMS) is a form of fibromyalgia where pain and stiffness occurs in muscles, tendons, and ligaments throughout the body, accompanied by other generalized symptoms such as fatigue, sleep disruption or unrefreshing sleep, mood disorder, and cognitive difficulties such as poor memory. One of the only ways to treat this apart from medication is talk therapy and stress reduction classes.